ASEAN New Car Assessment Programme (NCAP ASEAN) as a new car back testing agencies perform their duties. They did a crash test of the Toyota Rush sold in Malaysia. SUVs were tested itself a result of Indonesian production. The car is equipped with various security features like anti-lock braking system (ABS), Isofix system, and dual airbags. But the car with the Japanese brand has not yet adopted electronic stability control (ESC). As a result, this SUV car pocketed four stars for protection of adults with a value of 12.47 from 16 points provided. The same as for adults, protection of children also get a four-star. Based on these results, the car test institute noted Rush became one of the cars is very good in terms of security. So far there are seven SUVs in the Malaysian automotive market that has been tested. 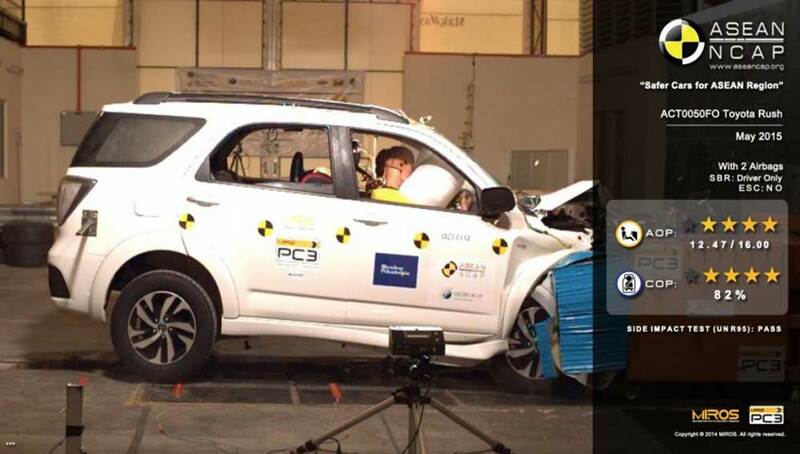 Honda CR-V itself has also been diving the crash test. Crash test itself is conducted to ensure the SUV meets the established safety standards The United Nations (UN).